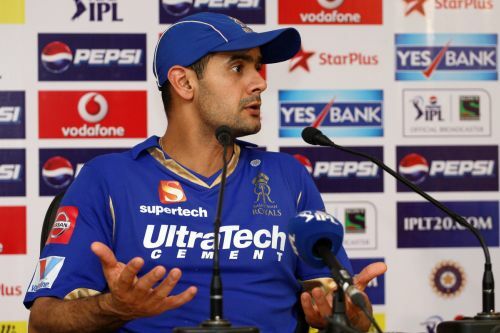 Rajasthan Royals batsman Owais Shah says the Kolkata Knight Riders possess some world class spinners in their ranks and their performance in helpful conditions made the difference in their IPL match on Friday. 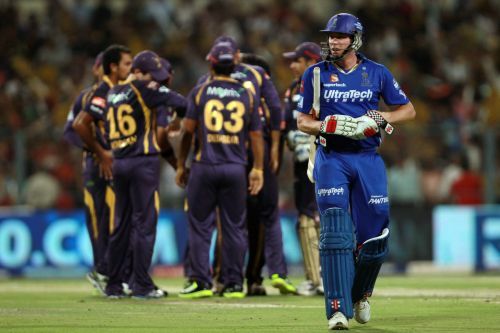 The struggling defending champions cruised to an eight-wicket victory over Rajasthan Royals in a spin-oriented battle. Shah said the Knight Riders had more experienced spinners in Sunil Narine and Sachithra Senanayake. "Their spinners bowled very well. Both of them play for their respective countries. "We've got a couple of guys but Brad Hodge has not played international cricket for a while and Ankit Chavan has not quite played at international level. KKR guys are playing international cricket regularly. Perhaps that was the difference," the 34-year-old said. But the English batsman said they were not complaining as Eden always pose such a spin challenge. "You've to look at the stats. The games here as compared to other places have been low scoring. The amount of boundaries that are hit here, are significantly less than other grounds. That's the nature of pitch. "We were here to play good cricket. We did not come out well. We knew when we came to Kolkata that the ball will spin and will remain low. But that's life. It's same for both the teams. It's just the way it is." Royals made a modest 132 for six but Shah said they could have defended the total had they bowled tidy in the powerplay. "We could have possibly got another 20 runs on the board. But I don't think it was a matter of runs; we did not bowl very well up front and gave away too many runs. "We should have held them for at least 25 runs in the first six. "They got that start and were very well set after the first six overs. After which they just cruised to victory. Yusuf played a very good knock. Full credit goes to him." James Faulkner was sent at No 3 while skipper Rahul Dravid dropped himself to 8 in a strange Royals batting order but Shah defended the strategy. "We're looking at attacking the first six. Historically in Kolkata, if you can get off to flying start, it helps you. We were little bit stuck in the first six so thought if Faulkner can get that impetus. "Unfortunately, it did not work out and we went on the backfoot." On Dravid's decision to bat low, Shah said: "I don't want to answer question on his behalf. But I guess he felt he wanted to keep a left-right combination. "Perhaps he thought other guys were better equipped to hit boundaries. Obviously, you should ask this to him. I was playing in the middle when the batting order was changed." 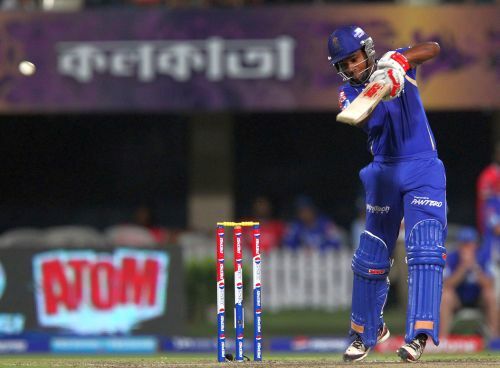 The silver lining in Royals' loss was Sanju Samson's form as the 18-year-old from Kerala top-scored with 40 and Shah said the youngster would be a good prospect for India if he kept going. "For the last couple of games he has played very well. Hopefully, he continues that. "There's a lot of talent in India. Sanju has got very good head on his shoulders. He is a very good batsman who has played superbly in the last few innings. If he continues this way we can say he's one for the future of your country."